As GPS became more popular, another problem came about. Map updates for these units were expensive. They were in proprietary formats and could only be used from a specific vendor for their units. Many units could not be updated at all. Even better, in some cases individual units could not share the same update. The updates were slow to incorporate all new areas. At one point, a popular GPS maker only employed a hand full of cartographers who were responsible for the entire world. As you can imagine, they could only do so much at any given time. Some enterprising souls decided they wanted to try to convert their expensive data from their proprietary GIS packages and put them on their GPSs. After some reverse engineering they actually managed to get data into a format so they could put maps on their GPS units. Even then the GIS data sets were not current for everywhere as the vendors focused on popular areas. This approach had a few problems. First, there were not that many people who had the skills and software available to do the GPS reverse engineering and convert the vendor data sets to use with them. The commercial GIS data were not necessarily any better than the GPS data in terms of being up to date. Plus, everything was proprietary. The GPS and GIS data were owned by vendors who would go after people if they even thought about making data available for free to anyone who had not bought a license. So even if you had access to the GIS data and tools, you could only update your own GPS and not post the files online for people to download. And you were likely violating some license agreement even if you only used it for yourself. If fact, the vendors were very aggressive about protecting their data and took action against anyone who violated their copyright. Early web map companies would introduce errors into their data sets in an attempt to watermark them so they would know when someone was illegally using them. This was before the days of widespread in-car GPS units and Google or NAVTEQ cars driving around recording roads with GPS precision and accuracy. With closed software and data, no one really had to worry about accuracy for the casual user. The frustrations with proprietary vendors and data sets started a small cottage industry of developers who wanted to give everyone access to the same types of tools that the commercial vendors had. In the commercial GIS space there were only one or two real sellers of GIS software. This monopoly led to stagnant development and large monolithic software programs. These Open Source developers wanted to write new tools that everyone could use to manipulate what free data was out there. They wrote libraries such as GDAL, libgeotiff, and others to provide access to the various file formats. The tools followed to allow users to do simple manipulations of geospatial data. Now that people had tools, they wanted data to work on. Data at this time was scarce, mainly reposted USGS Digital Raster Graphics (scanned paper maps) and Digital Orthophotos (aerial photographs) in the raster data space. The US Census made their TIGER vector map data (think roads) available for download, but early on it had issues with spatial accuracy and was hard to work with unless the user spent time converting it to work in their GIS. The USGS also had some vector data for hydrography and transportation data but was also somewhat difficult to use due to the formats in which it was distributed. 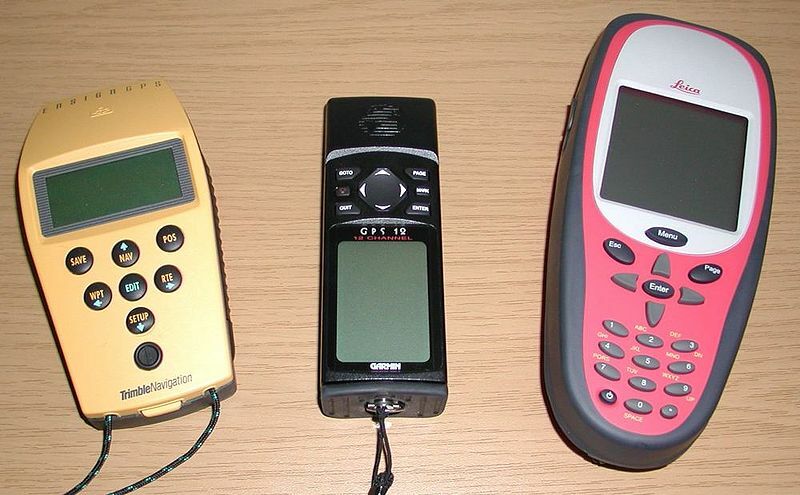 People at this time had been doing various things with GPS units and early GIS tools to make data available. Some people posted GPS tracks of trails for others to go hiking on. Geocaching had caught on in a big way and introduced a lot of people to the convenience of a GPS. Moving map display GPS units allowed people to navigate roads without need for a paper map. More and more people began wanting up to date data for their devices, and they did not want to pay the expensive prices the commercial vendors wanted. The explosion in GPS use and availability of Open Source tools to use it led to outcries of people who wanted more data so they could keep their GPS units up to date or just play with photos of their neighborhoods. Technology had evolved to the point where computers could more easily manipulate the large raster data sets that were out there. Eventually governments began to make more data available to the tax payers who felt they paid for it once so should not pay again to download it. The USGS made DRGs and DOQs available for free. The TIGER vector data got a lot more accurate and was updated on a much more regular basis. But still, a lot of the data was not current or up to date since there was only so much money spent by governments on mapping programs. Along comes the OpenStreetMap (OSM) project in 2004 with the goal of creating a free base map of the world. OSM came out in the early years of the social media craze and provided a collaborative platform so people could add mapping data through either GPS traces or by volunteering their time to vectorize satellite photos. Suddenly, people all over the world could contribute to creating free maps of their areas and use the data however they wanted to use them. Combined with more and more governments providing their data free to download, we came to the modern era where we have more GIS data available than ever before. To be superfluous, we’re now in a golden age of Open Source GIS tools and open data. The very capable QGIS application has recently hit version 2.0. OpenStreetMap continues to grow and is up to a compressed 30 gigabyte file with high-resolution user-contributed data under an open license. Toolkits and libraries such as GDAL power many Open Source and even some commercial applications. Many cars now come with GPS units built-into the dash. Cell phones with 3G+ data connections and mapping apps from Google, Apple, and others have caused traditional GPS companies such as Garmin to scramble to determine their future relevance. Anyone can now take Open Source tools and convert open data to update maps in their GPSs. Web map services using open standards make even more data available to web browsers and other applications. Times have gone from a scarcity of geospatial data to so much that management and discovery of it has become difficult due to the volume and number of providers. Next time we’ll take a look at the Open Source tools of the trade that anyone can download and use. Ok, so I have to a bit of a rant here. Last year, a couple of young delinquents threw a large rock at my car as we were driving home in our neighborhood. Had the top window been open, the rock would have struck me in the head and could have caused a crash. I tried to chase them down but they got away. However, we found out who they were from some young Mexican kids who they normally bullied. These poor kids were just happy that someone FINALLY would do something to them since they were bullied and afraid to speak to the authorities. We confronted the mom and the kids admitted to it, so we called the police and charges were pressed. My wife went to court over it and we found that it would cost $500 in repairs to fix the vehicle. The kids pled guilty and were found guilty. They were ordered to do community service and pay the $500 in restitution. The judge apparently said that even if they moved they still had to do community service and pay the restitution. We had never heard anything and contacted the courts since they had a year to do this. What we eventually found out was that another trial had been scheduled since they never sent any money to the courts and never reported any community service. They never showed up, of course, and we were told since they couldn’t find them that they were just found guilty with a felony on their record and the case was closed. I spend five minutes online and found out that they’re currently living in St. Louis, MO. We were told that since it’s just kids and only $500 that it was closed since the state couldn’t do anything any more. So let’s recap here. What happened is that a couple of kids caused damage to a vehicle. They were found guilty. They were ordered to pay us back for the damage they caused. However, all they had to do was move out of Virginia and they don’t have suffer any consequences for their actions. We were told “but they will have a felony on their permanent record.” This means jack. People with felonies can easily find almost any kind of job in this day and age. I realize now why there are so many young punks in this world. They can basically get away with anything because it’s “too expensive” to prosecute them. They can get off scot-free without repercussions from their actions. And then they’re free to continue being young punks wherever they are. It seems to me like this is just another example of how broken our legal system is. I thought I’d post this information in case it helps someone else. I was having issues with Kdenlive where I would get a glibc double free crash at the end of the rendering process. It was consistent and very annoying as you can imagine. Looking on-line, I found similar problems with the OpenCV Frei0r plugins (which I didn’t have installed), similar problems with previous versions of melt (Kdenlive uses it for rendering), and so on. Turns out my problem was with having clips with spaces in the file names. On my Fedora 19 system (x86-64, Kdenlive 0.9.6.2, mlt 0.8.8.5, ffmpeg 1.2.2.1) this appears to have been the root of the problem since removing the spaces makes things consistently render without errors. Might give this a try if you’re having problems out there. This kicks off a series of posts about GIS tools and data. I’ve wanted to do something like this for a while now, but am finally forcing myself to do more writing to get back into the habit. So to start off, I’d like to go through a brief history lesson to discuss where GIS was and where it is today. I’ve had a long history in the GIS field, spending most of my professional career working for a government mapping agency where I wrote production systems and then transitioned into a research and development mode. So on to Part 1. In days of old (OK, only around a decade or three ago), getting into the geospatial field could be a costly endeavor. Most data were locked up in proprietary vaults and you had to pay for access to them, if you could get access at all. The world had just started to transition from paper maps and traditional cartography to applying technology to mapping tasks. With the less advanced technology of the day, transcribing paper maps into a digital representation was a labor-intensive task and required many hours of work. In many cases, creating vector data involved someone drawing vectors on top of an on-screen image of a paper map (which sadly, is still one of the main methods in use today!). There was also a lot of confusion in the early days about how to do digital mapping in the first place. Most of the people involved came from paper mapping and had spent decades learning how things worked in a physical world. The move to digital changed things. Accuracy in the paper world was no longer sufficient in digital, as what looked like it lined up on paper actually didn’t line up in digital. You could zoom in with a computer and see how far things actually were from lining up. There was a lot of resistance in the early years as mappers did not think using computers was “real” cartography. As an example, consider how paper maps were printed. They used multiple Mylar plates that contained various parts of the map. When the map was printed, the plates would be inked and roll against the paper to lay down the layers (colors) of the map. These plates were aligned by the use of stud holes that were cut into the Mylar so they could be positioned correctly during the printing process. When these plates were scanned in and referenced, they did not line up. In the analog world, a gap of a millimeter or so would not really show up on the paper map. In digital, however, that gap will stand out like a sore thumb when the digital map separates are combined in a GIS. GIS tools themselves were expensive and were mainly only available from two vendors. Additionally, these tools were really only available on Windows and proprietary UNIX platforms such as Solaris and IRIX. Using them was difficult and required users to have an in-depth understanding of geospatial data and how to use the tools. Many people had to take week long vendor classes before they could use them. And of course, most of the tools had to be run from the command line. Then things began to change. GPS was opened up to the public and for the first time mapping became dynamic for the non-GIS user. 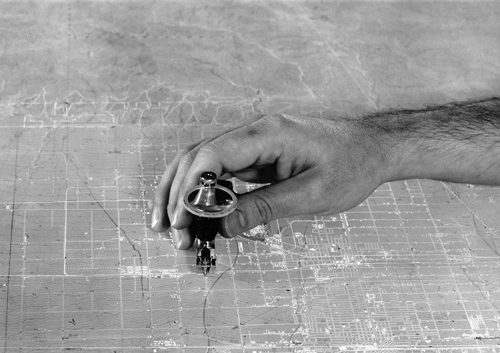 As GPS advanced, they became equipped with moving map displays so people could actually see where they were on a map and could see what was around them. 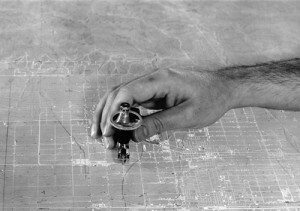 Early GPS, however, also suffered the same issues as early GIS systems. In the beginning they were bulky and only gave you your latitude and longitude on a digital display. This was OK for some people, as they could look at a paper map to reference where they were. They were expensive and only came from a handful of vendors. These early units had accuracy issues, the major being the intentional inaccuracy mandated by the US government who were afraid they could be used against America. They were very dependent on line of sight and took a while to get a general lock (which then meant they were accurate to the tens of feet instead of a foot or two). GPS and GIS technologies began to evolve. GIS software got better and became more user friendly, making use of GUI technologies of the day. GPS technology evolved and became faster and smaller so that people could use hand held units to venture into the outdoors. GIS professionals began to try to hook up their software systems to a GPS so they could use their data with real-time measurements. Companies then got the bright idea to sell software so that you could hook a GPS to your laptop and then watch your location in real time on the screen. It was clunky and hard to use, but was the direct ancestor of every system we take for granted today. Next time I’ll discuss the rise of Open Source GIS tools and data.